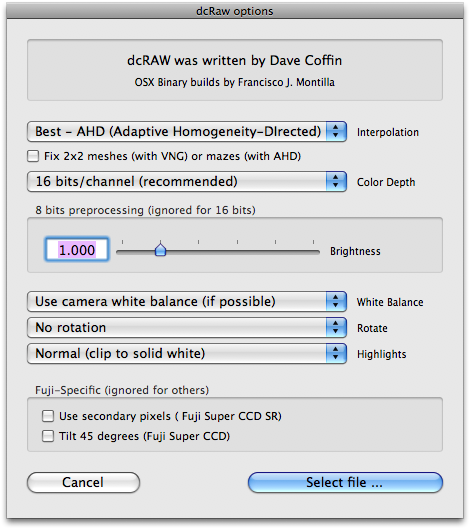 Importation of RAW images through dcraw. Lots of Cameras's RAW formats are already supported by natively by the mac. Thankfully for the rest we have a very nice commande line-tool named dcRaw. ChocoFlop provides a convenient interface to easily import hundreds of RAW formats from a variety of cameras.